Do you often use Post-it notes? They’re quite handy! 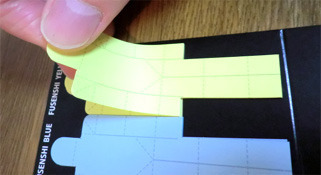 At one time, Post-its were used as simple square sticky memo pads. 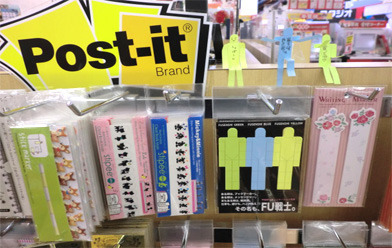 But recently, Post-its have become available a variety of patterns and shapes. Today I would like to introduce a very unique variation. This is it! Looks interesting, doesn’t it? 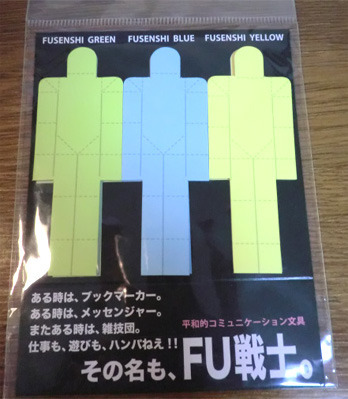 The product name is “FU Senshi”. 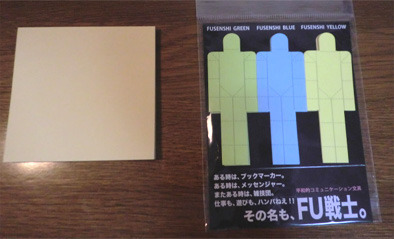 In Japanese, we call Post-its “fusenshi”, and senshi means soldier. 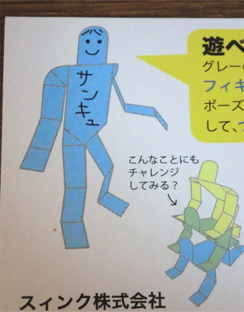 As you see, the left one is a regular square Post-it. Looks totally different! when you make cuts along the solid lines with scissors. Sounds fun! Oh! These might be the soldiers! Look too cute for soldiers, though LOL. 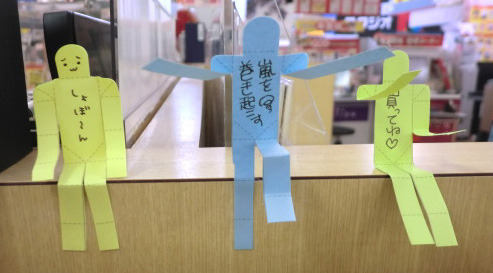 (as the main purpose of Post-its). But you can’t expect to have enough space for a long message. Next time, I’ll be sharing an advanced way to play with FU Senshi!